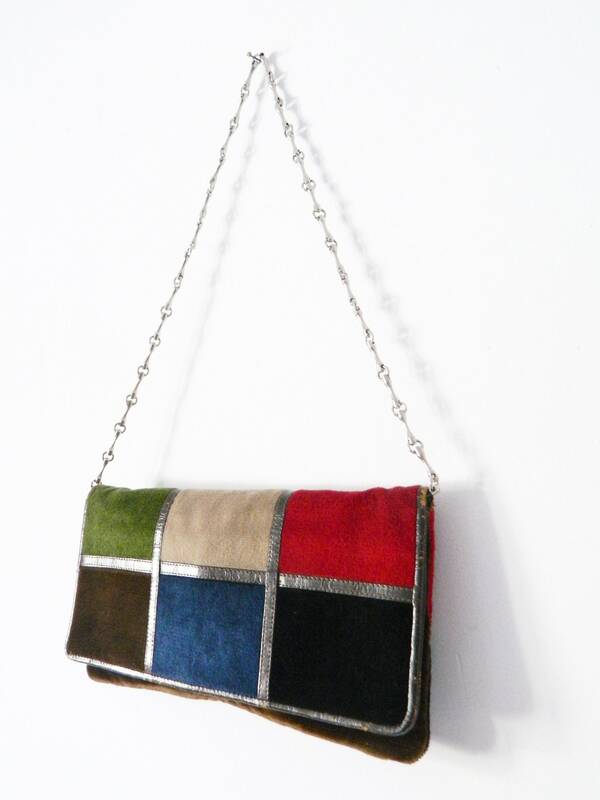 Colourful handbag made of corduroy, velvet and imitation leather. 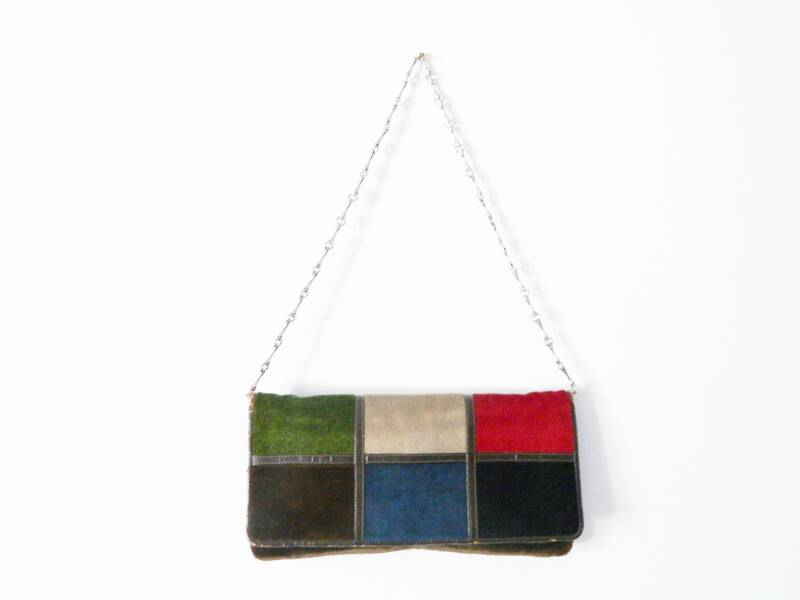 The shoulder strap consists of a silver-coloured chain. The bag has an inside compartment. Good vintage Condition. 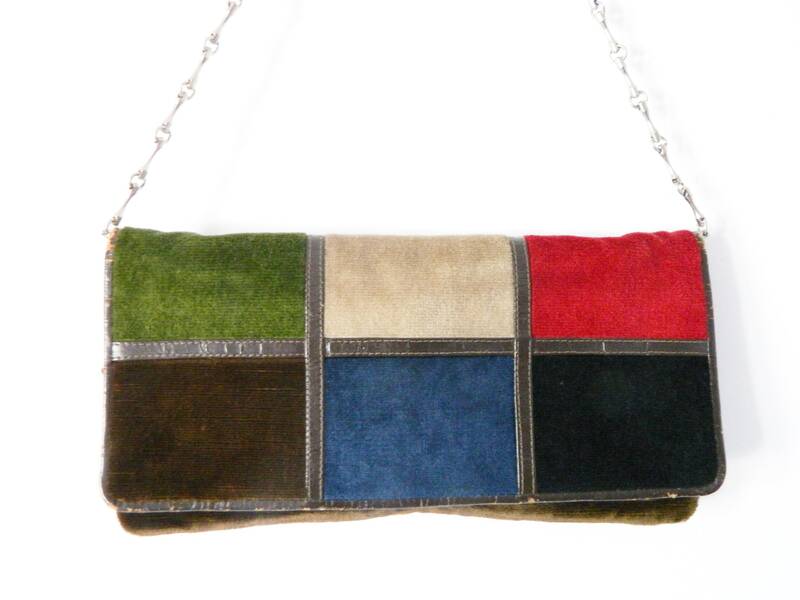 Coloured handbag from corduroy, velvet and imitation leather. 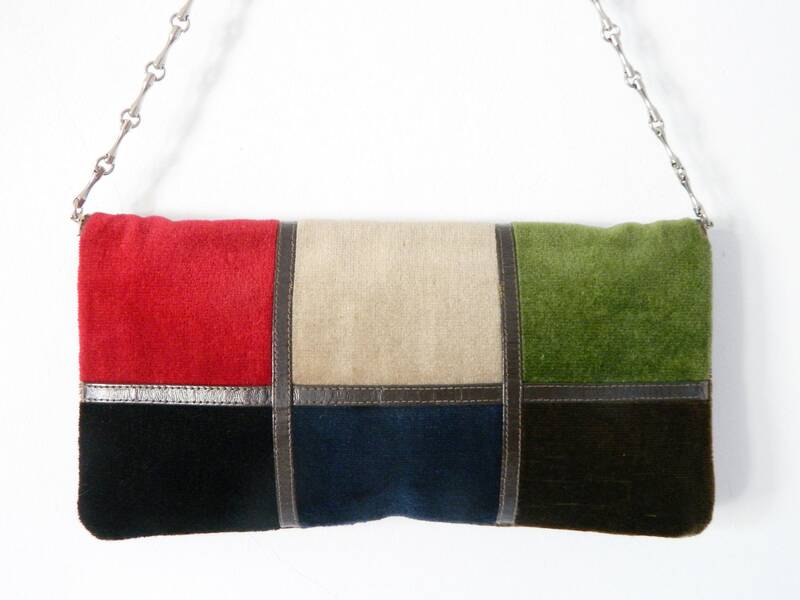 The shoulder belt exists of a silvery chain. 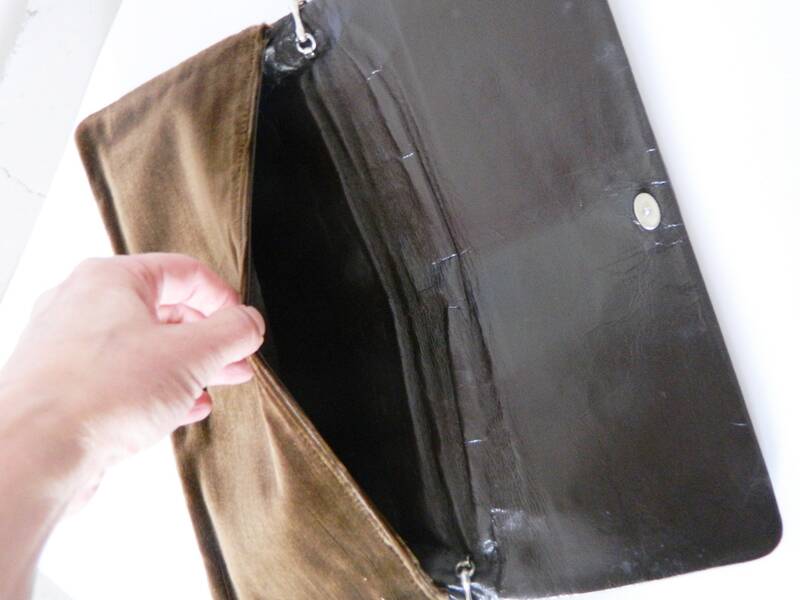 The pocket has an inside FIELD. Good vintage Condition. High (measured without Shoulder-chain) 15.5 cm, 6 "
Wide 31.5 cm, 12.4 "